The US military has drastically underreported the number of civilian casualties in its fight against ISIS. 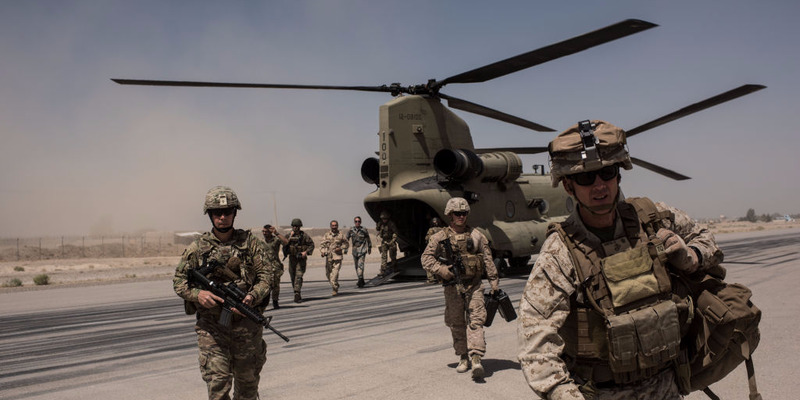 A recent investigation found the rate of civilian deaths in Iraq to be 31 times higher than what has been reported by US-led coalition forces. News of underreported civilian casualties comes as President Donald Trump loosens rules of engagement abroad, which many human rights organisations say will lead to more innocent lives lost. An 18-month investigation by The New York Times revealed that the US-led coalition fighting ISIS repeatedly recorded civilian deaths as enemy casualties. The Times’ journalists scanned the locations of nearly 150 coalition airstrikes across northern Iraq and found the rate of civilian deaths to be more than 31 times that acknowledged by the coalition. The reality on the ground reportedly tells a much different story. Data from coalition forces reported Iraqi civilian deaths have resulted in about one of every 157 airstrikes. The Times found that civilians were killed in one out of every five. Basim Razzo was almost one of the victims, according to the Times. In September 2015, Razzo was sleeping in his bed in Mosul — then under ISIS control — when a US coalition airstrike reduced much of his home to a heap of rubble. He awoke drenched in blood. The roof of his house had been torn apart. Worst of all, he didn’t know if his family had been hurt. He soon discovered his wife, daughter, brother, and nephew had been killed. Later that day, the US coalition uploaded a video to YouTube entitled, “Coalition Airstrike Destroys Daesh VBIED Facility Near Mosul Iraq 20 Sept 2015.” The military claimed it had successfully demolished an ISIS car-bomb factory, but it now appears they actually struck the homes of Razzo and his brother, killing four innocent civilians in the process. In July, the Iraqi Army liberated Mosul from ISIS forces, but people like Razzo couldn’t move on. Many still live with the fear of being misidentified as ISIS sympathizers, and the tragedy of losing innocent loved ones. That’s not enough for human rights organisations, who often criticise coalition forces for poor reporting procedures that leave dozens, sometimes hundreds or even thousands of dead civilians unaccounted for. Human Rights Watch also called on President Donald Trump to do more to protect civilians abroad as news surfaced that he was modifying US military rules of engagement with suspected terrorists.